1. Welcome - Autism Health! Welcome to the Un-Prescription for Autism Blog Series. This will be a massive FREE resource for you on how to use this book to support vibrant health on the autism spectrum. 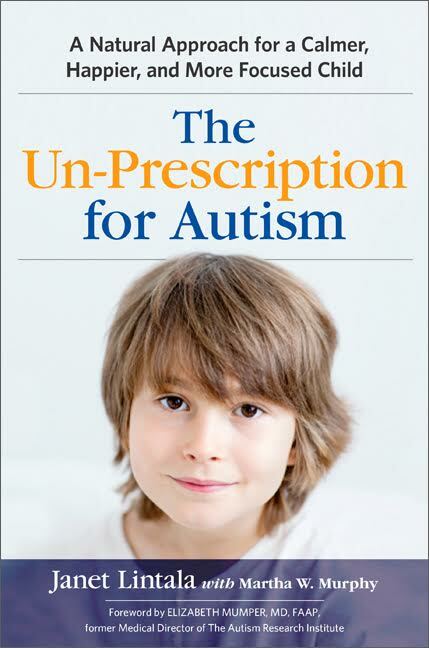 I am going to go deep into my award-winning book, The Un-Prescription for Autism. This is going to be an epic discussion and conversation with readers about how to get the most out of this book and the protocols in Chapter 6. Do you want to help your constipated, irritable, sleep-deprived children poop like a boss, sleep more, feel better and have a healthy, vibrant life? Want them to have a better day at school, possibly more language, and stop getting sick all the time? You have come to the right place. Autistic adults, don’t be fooled by the cute child on the cover, this works for you, too! The underlying and often invisible health challenges of ASD can cause dramatic changes in mood, sleep, language and behaviors of autistic children and adults. This results in them being placed on multiple medications (polypharmacy)…. while leaving the chronic health issues untouched, simmering below the surface and worsening over the years. NOTHING in this book is about curing, treating, fixing, defeating or preventing autism. EVERYTHING in this book is about supporting vibrant health and independence on the autism spectrum. Check back every few days for a new post (or sign up for the RSS feed) and be sure to post any questions or comments you have! « 2. Are We asking the Right Questions? 2. Are We asking the Right Questions? 3. Who can Benefit from The Un-Prescription for Autism? We don’t offer quick fixes or miracle cures. Autism is so complex. There are no pat answers, but the center provides education and knowledge for the families.